Two human interceptors of anti-trafficking charity Maiti Nepal stand at a check post in Birgunj, Nepal, August 19, 2018. South Asia is the fastest-growing and second-largest region for human trafficking in the world. 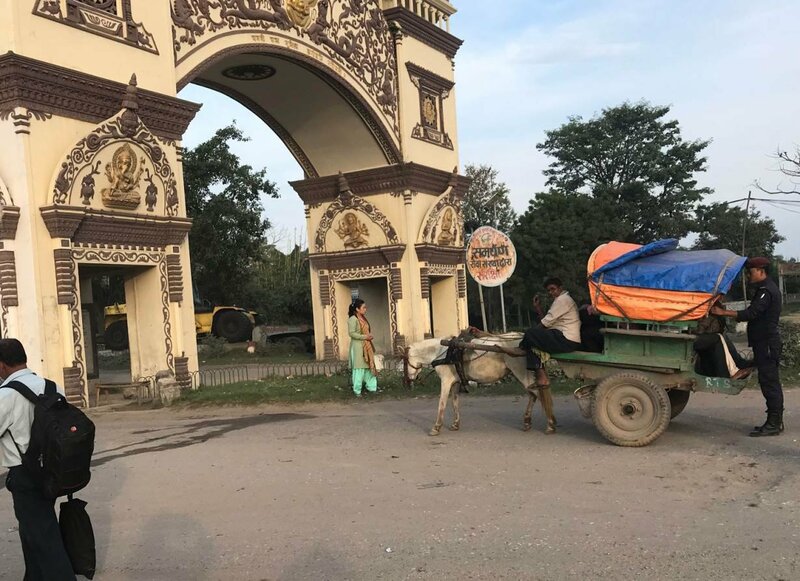 BIRGUNJ, Nepal, Sept 13 (Thomson Reuters Foundation) — As a canopied horse-drawn carriage emerged from a mushroom of dust at the Nepal-India border, Kavita Yadav's policing instincts kicked in and she stopped it to chat with the couple. Yadav checked their IDs and handed the woman a form to fill out: name, address, relationship with co-passenger, family contact details, purpose of visit to India, and destination. She only let them go after calling the young woman's mother to verify the information. Yadav is not a police officer or a border guard. She is one of Nepal's dozens of "human interceptors" — local women who scour the 1,751-kilometer (1,094-mile) open border to stop traffickers smuggling young women and girls into India and abroad. "Watching thousands of people crossing the border every day is not easy," said Yadav, 23, an interceptor with the charity KI Nepal, one of many working to tackle the menace. South Asia is the fastest-growing and second-largest region for human trafficking in the world, after East Asia, according to the United Nations Office for Drugs and Crime (UNODC). Nepal is both a source and a destination country for victims with some 23,200 trafficked in 2016 — up from 9,500 the previous year — according to the country's human rights commission. Neighboring India is home to more slaves than any other country in the world with an estimated 8 million among its 1.3 billion population, according to the 2018 Global Slavery Index. Victims, mostly from poor rural areas, are lured by traffickers with promises of good jobs, only to find themselves forced to work in fields or brick kilns, enslaved in homes as domestic workers, or as prostitutes. A woman human interceptor looks on as a police officer checks a horse-drawn carriage for signs of human trafficking at the Nepal-India border in Birgunj, Nepal, August 19, 2018. 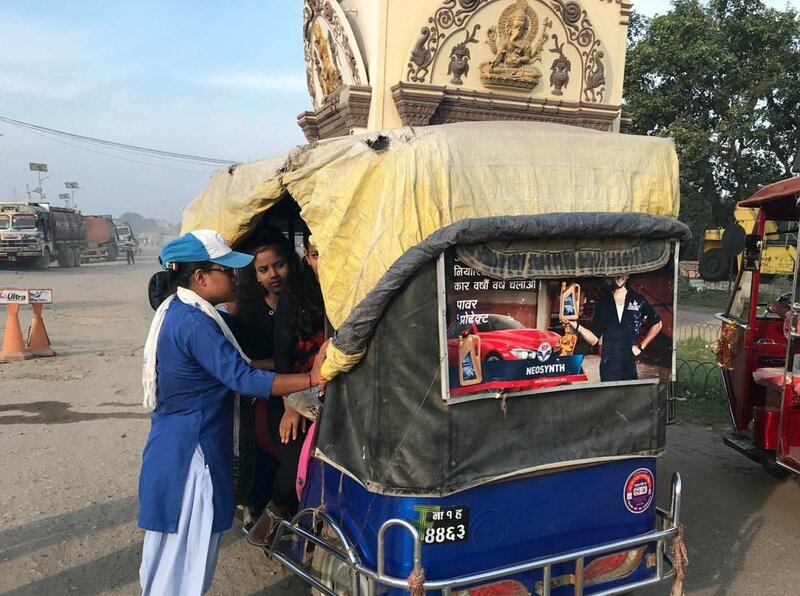 Although it is unclear how many men work as human interceptors in Nepal, charities say they prefer women as it is easier for them to stop and interrogate female commuters. Every day at the crack of dawn, they gear up to monitor a steady stream of Nepalis crossing into India for work, trade and travel — visits that require no visas or passports. And with no walls, fences, or barbed wires along the stretch, the interceptors have to be extra vigilant. 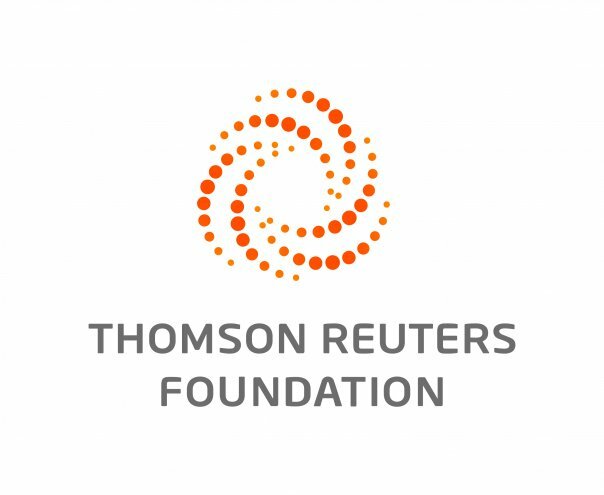 "This is a tough but important job," Yadav told Thomson Reuters Foundation in Birgunj, a bustling border city. Activists estimate about 50 women and girls are trafficked from Nepal to India every day, a crime they say has increased since a massive earthquake in 2015 left many vulnerable to traffickers. In July, Indian police raided homes and rescued 55 Nepalese women, who said they were smuggled over the border to be trafficked onwards to Gulf countries. Ravi Kant, founder of New Delhi-based anti-trafficking charity Shakti Vahini, urged India to start registering Nepali employment agencies for accountability. "If Nepali agents are using Indian soil, even for transit purposes, they should be registered, otherwise it is all shady business," he said. "Registration will save so many vulnerable girls from becoming modern-day slaves." A few hundred yards away, another interceptor, Kopila Chhami, looked out for signs of trafficking — from analyzing the women's body language to their travelling companions. Within minutes, she spotted a group of girls in a tuk-tuk and headed over to interrogate them. "We identify victims by their gestures, and this comes with experience," said Chhami of anti-trafficking charity Maiti Nepal, which has 65 human interceptors. "(When they lie) they become nervous and start giving conflicting answers to our questions." When stories are not convincing and suspicions arise, the local police step in to help the human interceptors, who do not have legal authority to stop or apprehend people. This results in nearly 100 successful interceptions every month in Birgunj, one of 22 border checkpoints, say inceptors. But police teams are understaffed and overworked, said Birgunj inspector Nakul Gautam, which hobbles their rescue and investigation efforts. "Sometimes one person works for 22 hours without even sitting for a while ... but we are doing our bit," he said. Activists say identifying victims can also be tough when traffickers are relatives or neighbours, or when women themselves give false accounts, convinced of a better life across the border. "They travel as wife and husband, father and daughter, brother and sisters. Some say they are going to India for shopping, to meet relatives," Chhami said. "This is the hardest part of our job." Human interceptor, Kopila Chhami, interrogates passengers traveling in a tuk-tuk near the Nepal-India border in Birgunj, Nepal, August 19, 2018. Lack of evidence, out-of-court settlements, threats from traffickers, and taboo have kept prosecution and conviction rates low, activists say. Many victims are rescued only to be shunned by their families in Hindu-majority Nepal, where daughters who flee or run away with strangers can be a source of shame and stigma. "My family said 'it would have been better had you died'," said Shanti Lama, who was rescued from an Indian brothel, and now runs an anti-trafficking charity in Nepal. To get them back on their feet, KI Nepal and others provide shelter and vocational training in farming, sewing, embroidery, hairdressing and hotel management. "We want to empower ... and make them community leaders," said Indra Raj Bhattarai, programme director of KI Nepal. Victims are also taught how to spot traffickers and their tricks so they can defend themselves. A pamphlet warns: "Don't travel with strangers and never leave home without the knowledge of your family". But some are difficult to convince, said interceptor Yadav, who recalled how a woman turned hostile and aggressive when intercepted at the border. "It is my problem," Yadav quoted the woman as saying. "If I am trafficked, what is your problem?" "This may seem like ordinary work from the outside, but it is very important work," said Yadav. "We are saving many innocent Nepalis from being victimized abroad."